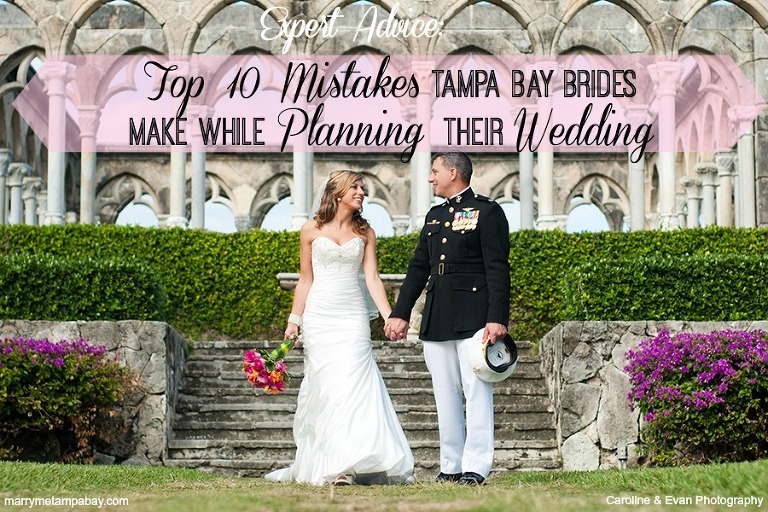 Award winning Tampa wedding planner Burkle Events reveals the biggest mistakes brides are making on their big day and how to avoid the stress of wedding planning . Solution: Determining the size of your guest list can lead you in the right direction of where you can have your wedding. Since venues can vary in size and capacity, the number of guests you wish to attend will help narrow down the selection process as well as determining how big your budget will need to be. Tip: Because of the social media effect, we always tell our couples if they haven’t talked to you in the last six months or reached out to you on your birthday, then think twice about inviting them to the wedding! Solution: Do your research and find the best possible photographer for your budget. Make sure to read the contract and packages to make sure you know what comes with each package. Do you have ownership of the images? How many hours? Does it come with a second shooter? Do you get an engagement shoot and have rights to the images? Do you have to purchase the images after the wedding? Some photographers might sound like they have a great deal, but look at the fine print in their contract as this will save you major headaches after the fact. Tip: Spend a little more money to secure the right photographer and package. This is not an area where you should cut corners, as this is the only thing you’ll have left after the wedding. Solution: Brides need to keep in mind Florida weather. The summers are very hot, and you won’t want your husband sweating through his linen suit or forget to secure heaters for your outdoor wedding in January. Keeping in mind the season that you are getting married in will help you decide if you need a tent or heaters to keep your guests up and dancing the night away. Tip: Decide on the type of wedding you want to have, and then choose the right time of year so that you and your guests will be comfortable. Solution: Meet with family or anyone who will be contributing to the wedding to help you decide what your budget will be. Once you know what your budget is you can start dividing it into categories which will give you a guide on what you can spend. Make sure you give priority to the things that matter most to you. Tip: Everyone has a budget; it could be $10,000 or $100,000. Vendors will always ask this as it helps guide them in what type of packages to offer you. When going to your vendor appointments, make sure you know what you want to spend so you can intelligently discuss the options that will keep you from blowing your budget. Solution: We love DIY projects; it brings your personality to the wedding. However, remember you will want your friends and family to enjoy your wedding and not just be in the background making sure the cake has arrived. 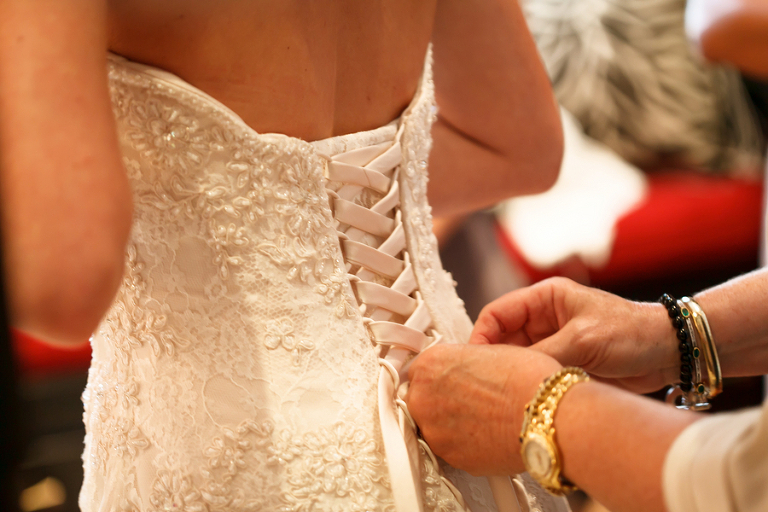 Even if you have a smaller wedding budget, you can research and find a wedding planner. They will relieve the stress of running around in your wedding dress putting centerpieces together or making sure the officiant has arrived. Tip: If you decide not to go with a wedding planner, assign one friend or family member and give them a timeline and vendor contact list. Giving them all the information they will need to be able to handle any mishaps, without having to call you multiple times during the day, will save you a stress and angst. Solution: All couples have a budget and as such they will often choose vendors based on their price alone. This is not the way to secure the best outcome for your wedding. Do your research on the vendors you are interested in and look at their reviews. Did they respond in a timely manner to your emails or phone calls? Did you get a good feeling after leaving the meeting? Did they understand your style and vision for your wedding? Picking the right vendors help you have the wedding of your dreams and also reduce the stress you might incur trying to reach the DJ a week before your wedding about your first dance song. Using reputable vendors will make your wedding planning process much easier and enjoyable. Tip: Spending a little more to get the “right” vendor can often times get you the best value. Saving a couple of hundred dollars is not worth much if you have to spend time on your wedding day tending to vendor issues. NOTE: Wedding planners have a core group of wedding vendors that they trust and produce amazing results. They have usually tried most of the vendors out there and are able to cherry pick the ones that really make the wedding day special. Also, using a wedding planner may also get you better pricing with their preferred vendors, so this can actually help you with both mistake #6 and mistake #4. Solution: Wedding planners have many packages and most offer customized packages to fit your needs. Having a planner who will intercept mishaps and allow you to have a stress-free day is worth every penny! Even if you are hiring them just for the “day of,” having someone there keeping you on time and handling your vendors is a blessing. You spend a lot of time, money and energy in planning your wedding, having a trusted professional planner with you will help your wedding day flow smoothly. Tip: Meeting with multiple wedding planners is a good idea. You want to trust that they understand your vision and that you have a good chemistry with them. They will be with you on your most important day! Solution: Having a timeline of the days events is a must. Keeping you and your bridal party on track, from when hair and makeup starts to when your vendors are supposed to arrive, will keep everyone informed and on time. Not having the limo show up on time can cause your ceremony to start late. This can lead to a delayed reception and the snowball effect will continue to hover over your special day. Promptness is a must for a smooth and relaxing day. Tip: Keep it the timeline simple. Make sure your DJ has a timeline of the first dance, father/daughter dance, cake cutting etc. Solution: Ask friends who they used for their wedding hair and makeup, and do research on beauty vendors in the area. Do they charge a travel fee? Can they handle large parties? 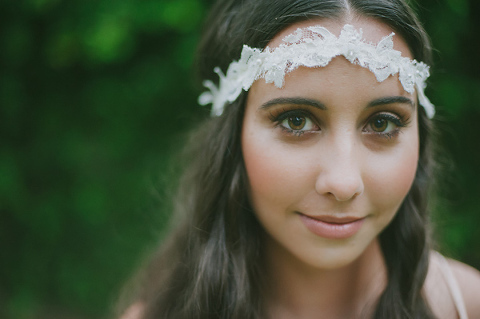 Hire a professional hair and makeup stylist who knows how to apply the makeup for your wedding photos. Doing a trial run will let you know if the vendor has the same style that you’re looking for; you don’t want any surprises on your wedding day! Tip: Get your hair and makeup done in the morning to see if it stays throughout the day. Also, take pictures all day to see if you like the look later in the afternoon when motion and weather can have an impact. Mistake #10. Forgetting to Thank Your Guests for Traveling and Being a Part of Your Special Day. Solution: When you get your gifts via mail or before the wedding, don’t forget to write the item down and start a list. Trying to remember who gave you what is almost an impossible task after the day is over. Making a list is quick and easy and can eliminate the embarrassment of thanking someone for the wrong gift. “Thank you” cards can be as simple as using “Thank You” stationery or a picture from your wedding that is made into your own stationary. Tip: Create a list of gifts that you have received from your guests and it will also serve as an easy way to remember who you’ve thanked and who still needs a card. Burkle Events is wedding planning company based in Tampa, FL. 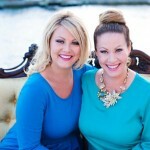 The two sisters, Jennifer and Natalie, bring a family feel to your event. Started in 2006, after a few bumps in the road from Natalie’s own wedding, (the limo driver to was late, making the bride late for the ceremony and in turn missing crucial sun set photos), the sisters felt there was a lack of information for newly engaged brides. They knew that they could be a great resource to help brides navigate through the wedding process and help forego the mess and stress they felt at Natalie’s wedding. Burkle Events prides itself on making your planning process fun from start to finish and living by the “Your Wedding, It’s all in the Details!” motto. Search Preferred Marry Me Tampa Bay Vendors for Your Perfect Wedding!